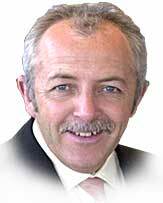 Since March 2003 Jeremy Bowen has been a special correspondent for BBC Television News. He previously co-presented BBC One's Breakfast for two years after its launch in October 2000. Jeremy joined the BBC in 1984 as news trainee. He then spent spells in the Radio Newsroom and as a Television News correspondent before becoming Geneva correspondent for Radio News in 1987. As a seasoned war correspondent, he has reported from more than 70 countries, covering conflicts in the Gulf, El Salvador, Lebanon, the West Bank, Afghanistan, Croatia, Bosnia, Chechnya, Somalia and Rwanda. Jeremy became the Middle East correspondent in 1995 and won Best News Correspondent at the New York Television Festival. He repeated this success the following year, when he won Best Breaking News report for his coverage of Prime Minister Yitzhak Rabin's assassination. During the Kosovo crisis of 1999, he reported extensively from the region, often in dangerous conditions, which included being robbed at gunpoint by bandits whilst reporting from the Albanian border. In August 1999 he presented a special programme examining the aftermath of the Turkish earthquake. Born in Cardiff in 1960, Jeremy was educated at Cardiff High School. He attended University College London and then went to the John Hopkins University in both Italy and the USA.